It’s day 2 of the Kigali leg of our trip. We split the team in half, and set off for Coach Education. Jamie and company are dropped off first then the bus and remaining crew lead by Joseph returns to the remarkable venue that is Gahanga Cricket Stadium. What follows was an impressive masterclass by our full tour CWB Rwandan Ambassador – Joseph. We met the ten local teachers, handed out training shirts then kicked off with the basics of catching. Over the next three hours, Joseph covered the fundamentals of Fielding, Batting and Bowling with the inclusion of modified games and coaching method. He set the skills in context of local conditions. The sessions were fast, fun and fulfilling. Mark, Alex and I assisted where we could. We were joined by up to 20 passing children who were drawn to the commotion. Alex and Marc entertained with an impromptu CWB session. I provided some teacher insight into competitive spirit without compromising the values of sport. We concluded with a wrap up and questions from the teachers. The feedback was unanimous. What a compliment to Joseph! The praise he deserves. It’s worth reflecting on the background of the sometimes quiet and always-confident country guy – the man who has been our voice and ears, the organisation behind the daily sessions and our go to for every foreign request from 10 wide-eyed volunteers. Joseph is from the country east of Karangazi – close to the north gate of Akagera National Park. Through his childhood he saw easily treatable conditions going untreated. When he took it upon himself to address the ailments of locals his mother and friends began calling him “Doctor”. Joseph is now half way through a medical degree and his dream of leading community based health initiatives through preventative medicine is well within reach. Our home for the remainder of our time in Rwanda is the Solace Guest House. Solace Ministries is a non-profit organization dedicated to meeting the needs of widows and orphans of the 1994 Tutsi Genocide. A survivor, Jean Gakwandi, founded solace in 1995. The community provides holistic support including community development, medical care, education, and employment for those who are physically able. 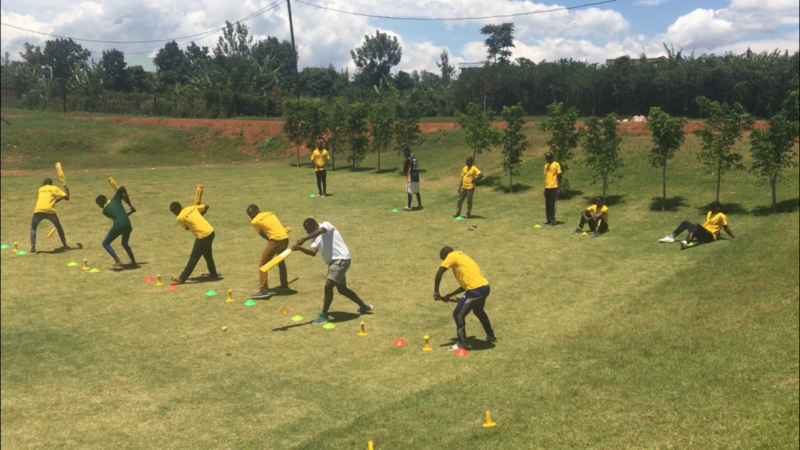 Next Post Umuganda and International Cricket, well sort of……..